Last year I bought PIXI Flawless Beauty Primer and reviewed it here. It is a product that really gives a glow to the skin and looks great on days where you don't want to wear a base but maybe your skin is looking a little flat or dull and also under foundation as a traditional primer. 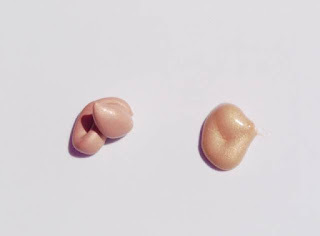 I found this brilliant last summer when I had a little colour in my cheeks but in winter, when I was at my palest, I didn't reach for it very often because of the peachy colour it has. 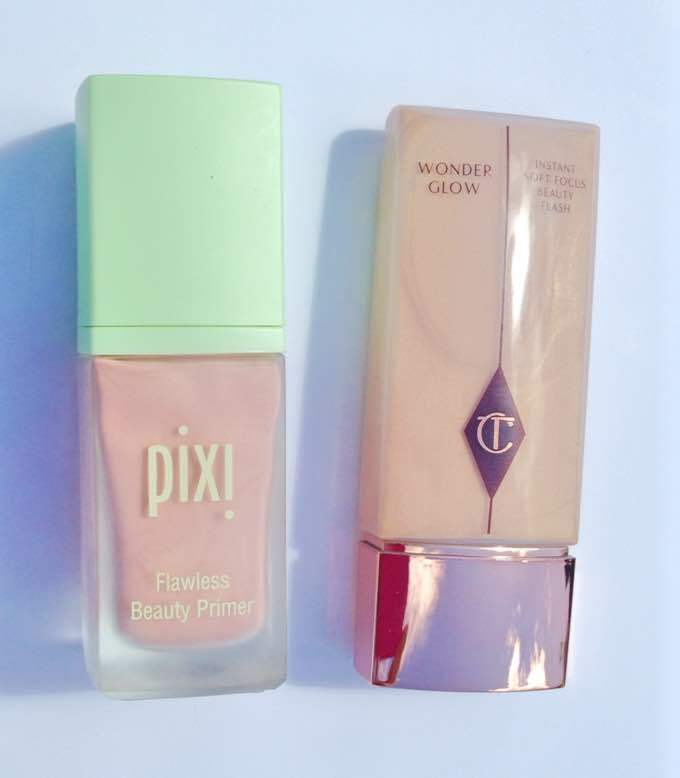 Now that it is spring/summer time again, I have been using it again but I recently bought Charlotte Tilbury Wonder Glow Primer and thought that, because they are quite similar products I would do a review of it and compare it to the Pixi product. Wonder Glow comes in a tube & contains 40ml and it costs €49, which is a whopping €17 more expensive than Flawless Beauty Primer, although it does contain 10ml more. As with all Charlotte Tilbury products, the packaging is beautiful and it has a rose gold lid with the CT monogram on the front of the tube. Now on to the product itself. It has the same creamy lotion texture as the Pixi Primer, but it is much more golden in colour, which gives a softer look than the Pixi Primer. It gives a more subtle, albeit still noticeable, glow and looks very natural on the skin. I have worn this both under my foundation and on its own and I love it both ways. It seems to blur imperfections and creates a very "lit from within", radiant look. I prefer the colour of Wonderglow because it seems to suit my skin better. When I wear Wonderglow and Light Wonder foundation, the result is a very dewy, radiant look and I look so much healthier than I actually am. Everything is much softer and very natural looking and I really love the combination of the two products and when I add in Bronze & Glow, I'm in heaven. These products are not for matte lovers and I really don't know how they would work on oily skin but they really suit my dry and dehydrated skin and add some life and radiance to it. Overall, I prefer Wonderglow, but that is just a personal opinion. Pixi Flawless Beauty Primer is certainly a great product and would probably suit darker skin tones better than Wonderglow. I will still use it up, especially when I've been in the sun! Have you tried either or these products or do you have any recommendations for similar products?